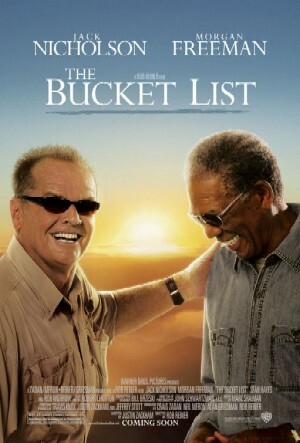 Usually, when one hears the words ‘Bucket List’, they usually think of the movie that came out in 2007, starring Morgan Freeman and Jack Nicholson. They also think about a handwritten list of things to do before one dies. That is what the movie is all about, accomplishing feats, dreams, wishes, adventures, or whatever it is that you want to accomplish before you “kick the bucket”. After I saw the movie I contemplated making such a list for myself. I had already done several things that would’ve been on the list, had I had one. The very first on my bucket list would have been to go to Rome and eat pasta, drink wine, see the Colosseum and the Sistine Chapel. I have already done all of that, although I would love to go back and spend more time sight seeing since I didn’t have that much when I first visited Rome. A few years ago I actually started writing my bucket list. So far, I have crossed off things such as, learn to snowboard, learn to surf, go to Disney World, become a published author, and become a mom. Those really aren’t outrageous requests I’ve made for myself, but I’ve been happy to have been able to cross them off my list, especially when I became a mom. I waited until I was 30 years old, whereas many women have children much earlier in their life. I had done four years in the navy, which allowed me the chance to travel the world. I had traveled around the US and had moved around a little bit (from Arkansas to Colorado, then to Oklahoma). I had gone to college and obtained my associates degree in Aviation Airframe, then worked in aviation for a few years. That’s when I felt that my life was incomplete. Even though I became a single mom before I had my daughter, I wouldn’t trade being a mom for anything in the world. I still have quite a few things on my list, but won’t disclose any of them until I’ve crossed them off. Do you have a bucket list? If so, what have you crossed off your list? To read about other bucket lists, click here. This entry was posted in Blog and tagged becoming a mom, bucket list, children, Colosseum, Daily Post, Daily prompt, DailyPost, Disney World, dust in the wind, Europe travel, family, Italy, Jack Nicholson, military travel, Morgan Freeman, parents, post a day, postaday, postaday post a day, Rome, Sistine Chapel, travel on April 20, 2014 by JenniferNAdams. I think I made up my first bucket list right before I finished High school, I have always had a keen desire to travel and to experience…I called it Wish List/ Dream List/ Goal List (which are of course dreams with deadlines) some have changed, others are no ,longer important and some get added as I age. I absolutely loved the movie, but as much for the depth and unusual friendship struck under sad and heavy circumstances, I also LOVE Jeopardy and the Morgan Freeman character was such a hoot with that. The healing and growth as they go through the list was so special . May all your good dreams and wishes come true and may your bucket list be accomplished and grow due to a great long life ! When I turned 40 I wrote by bucket list for my blog. I try to maek one thing off each year. I need to get busy this year though! I need to redo mine.